Showroom Shine revitalises bodywork and gives a deep gloss, removing fingerprints and dust. So simple to use - spray the polish on the car, dry off with a microfibre cloth and buff effortlessly to a bright shine. 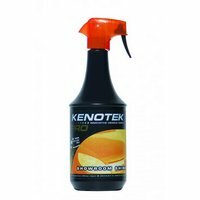 Suitable for all car surfaces, with useful Anti-static properties. "Many thanks for the speedy, efficient next day service and best price on the internet! Will recommend your services to all. Regards and thanks."